“Otherworldliness”… probably it is the voice of a world condemned to disappear with the French Revolution. No more harpsichords, violas da gamba and all of these aristocratic things. You're not related to Toon Koopman , are you? Yes, I changed my name running away from Erato, dear erato . 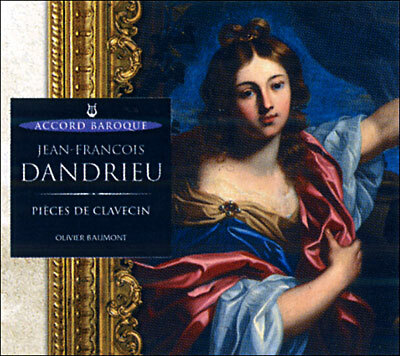 Olivier Baumont's Dandrieu CD on Accord seems unavailable again. Browsing around, came across another Dandrieu recording by Betty Bruylants. Does anyone have an opinion on whether it's any good? Also came across this set by Scott Ross. Of primary interest is his D'anglebert. I have Rousset's Decca integral and consider it exquisite. How does Scott Ross compare to him? Don't know Bruylants, but get the superb Baumont that is still available on Amazon. Indeed a box set, and not a single disc as indicated by Amazon. I share your enthusiasm for Rousset's D'Anglebert and I prefer it to Ross', so would stick to that. Que, the following link has two samples from Bruylants' Dandrieu. Comparing them to the same pieces by Baumont (jpc), I find Bruylants the superior interpreter. Slower, more languid, more nuanced phrasing and the harpsichord more luscious sounding. Of course, this is only from samples lasting less than a minute. Reviews are mixed, this site obviously giving a glowing one, but American Record Guide considered it very average, saying, from what I gathered, her playing lacked fluency and character. I think Repertoire gave it a 2 out of 10! Whereas Baumont's Dandrieu is considered a reference and was awarded some Choc Monde accolade. Also, running time is 68 mins, while Baumont's is about 50 mins. Hello James - just starting to add more harpsichord music to my collection in the last year or so, including the French composers; don't know if you already own or have heard the 2-CD set below of D'Anglebert w/ Elizabeth Farr; I've had this set for a while, but cannot compare to the other artists you list above - Fanfare had a great review (reason for my purchase) which is Reprinted HERE; and of course the great Naxos savings! 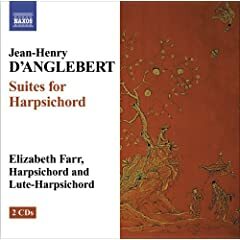 Hi, and, yep, I purchased Farr's D'anglebert a few months ago on the strength of her superb 3-cd Byrd set (also on Naxos) and the exceptional price. I tried very much to like it but did not really succeed, and gave the set to a friend. She plays much too slow and, at least for me, the momentum is lost. Worse still, the lute harpsichord does not really suit D'anglebert's profusely ornamented music, making the pieces sound almost annoying (an example of a good lute harpsichord recording is Robert Hill's Bach transcriptions double CD). The minor suites played on harpsichord are better, but nowhere near the superb standard set by Rousset in his recording. Maybe that's why I didn't fancy Farr, because of comparison with Rousset. Don't get me wrong, it's still a good and extremely value-for-money set, and the Fanfare review has great things to say about it. And quite a few reviews have criticised Rousset's D'anglebert as being too fast, clinical and relentless. I guess it's just a matter of taste and preference. On my part, I find Rousset, who always gives great importance to the tempo of the music while respecting the composer's intentions (sometimes too much), the more convincing interpreter. And he plays a glorious Rucker's original. There are other recordings: Celine Frisch, I feel also fails to convince but it gets a superb recommendation from ClassicsToday; a 1990 recording by Arthur Haas which is greatly admired; Hank Knox, from the jpc samples I've heard, also seems very idiomatic. And Farr's Byrd set is a definite must-have. Her use of the lute harpsichord in this recording, which suits these pieces very well, is exemplary and fully convincing. Regarding the sound of the instruments, I think jpc's inferior sounds samples might have done injustice to the Baumont recording. His Benoist Stehlin harpsichord from 1750 sounds very fine to me: bright, deep and firm. Judged from the samples, I personally prefer Baumont's fleeter and stronger characterised playing. After seeing (and hearing) Tafelmusik in concert (Händel's Water Music and selections from Rameau's Dardanus) I picked up their recording of Dardanus which is excellent. Anyone who is also a movie buff will recall the third track whose music, Tambourins I/II from Dardanus was used so effectively for the soundtrack of the Heath Ledger vehicle, Casanova. For French baroque music, I have recordings by Corrette, Rameau, Couperin and LeClair. 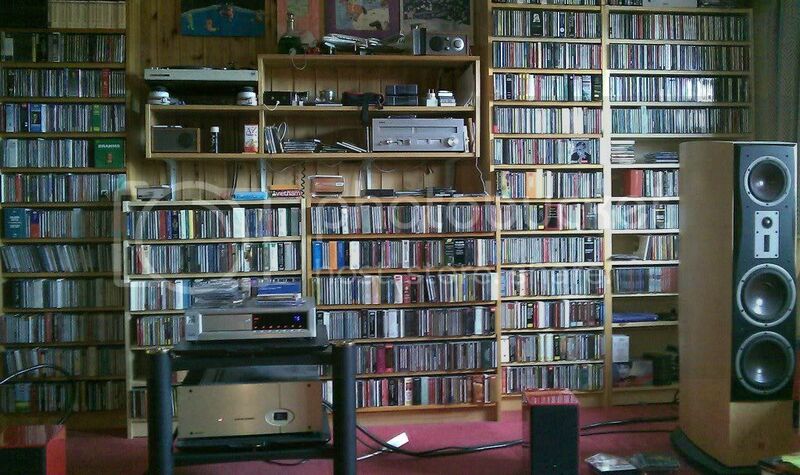 I also have no more than one or two CD's each by Marais and Lully. Any suggestions as to what other French baroque composers I should be adding to my collection? 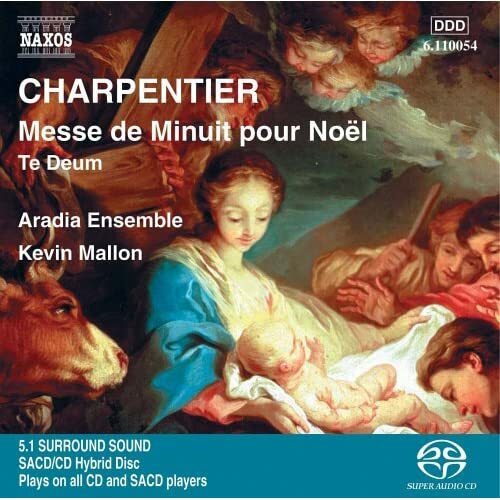 I actually do have a few CD's of Charpentier's works, which I forgot to mention. Thanks for the samples, Que. I listened to them repeatedly and concur with your assessment fully. What sounded harsh in the jpc samples sounds deep and resonant in the samples you provided, and the phrasing sounds much smoother as a result. Bruylants, however, comes of sounding diffuse and indistinct, and what seemed languid and nuanced now seems hesitatingly uncertain. Comparing La Plaintive, Baumont is actually fractionally slower, but his fluid playing gives the impression of speed without sacrificing poignancy. BTW, has Naxos completely stopped releasing SACD's? Naxos announced that they were not releasing more SACDs a few years ago. I believe it was shortly after the release of the Chants d'Auvergne by Veronique Gens. The first volume is available as a hybrid but the second volume more recently released is only available in stereo. For some mysterious reason harpsichord music does very bad in ripped sound - my clips where in 320kbps/ 48,000 kHz. Hope you'll enjoy the Baumont. 320kbps certainly explains the clarity, resonance and depth missing in the jpc samples. Even Amazon downloads are only 256kbps, I think. Baumont's playing has certainly grown on me, and I've been thinking of getting his Chambonnieres integral, possibly through Amazon downloads. I've also begun to appreciate his Couperin more, his somewhat Rococo approach giving a different dimension to the music. Hope to add the Dandrieu soon. Thanks again, Que. 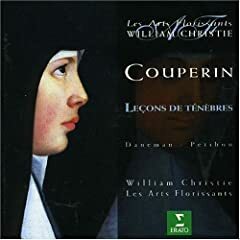 This basically instigated the Baroque avalanche that swept me away last year, via the 3rd Leçons de ténèbres, which recording by Sophie Daneman, Patricia Petibon, William Christie and Les Arts Florissants was included in that amazing box of golden treasure called 200 Years of music at Versailles. Hearing the third Leçons made me anxious to discover the first and third, and so I bought this disc. The highlight remains the third, for me - where they sing together, those lovely voices entwining around each other. Beautiful though the first and second are, they don't quite reach those heights, I think. After that, there was no stopping me. These two, Daneman and Petibon, became my keys to the Baroque doors, I suppose, and after that I just hunted around for anything they'd done in this line - a process which has continued and broadened in scope up to now.